Chris Hatcher got the call in the 8th inning on Tuesday with the Dodgers protecting a 3-0 lead, and he picked up the hold by retiring the side in order. He struck out two. Hatcher is one of the best setup men in the game and forms a formidable duo with closer Kenley Jansen. 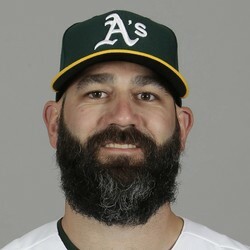 For owners in fantasy leagues that count holds, Hatcher could be one of the few relievers to approach 30.